This award, readers may remember, is the only one of the Permanent Style Awards that will be decided purely by me. The overlap of readers that have used a bespoke artisan in 2017 is simply not enough, in my view, to make any voting (or judging) viable. So it is purely a question of which of my bespoke pieces from last year was my favourite. When trying to make that decision, I decided to ask myself a simple question: Which piece from 2017 do I most look forward to wearing? This is a very emotional and subjective way to pick an artisan. It demotes all questions of value for money, and rides roughshod over technical points of style or craft. But it is also, I feel, something at the very core of how we commission bespoke clothing. Bespoke is something into which we put a huge amount of time, energy and money. It is always expensive, and it takes a lot of time and effort. It is by its nature, something in which we are emotionally invested. So as much as other reviews prioritise objective points of fit, quality and service, I thought this time it would be interesting to ask this single, more emotional question. Two experiences during 2017 immediately came to mind: my navy cotton suit with Gianfrancesco Musella and family, and the tweed ulster with Liverano & Liverano. Fortunately, my review of the Liverano ulster fell into 2018, just. So I selected Musella Dembech. I think it's worth unpacking why I look forward to wearing that cotton suit so much. Firstly, and most obviously, it is a piece I have complete confidence in from a style point of view. No matter how well made a bespoke piece of clothing is, if the style doesn’t work it is fundamentally compromised. Bespoke enthusiasts won’t like that point, but it’s true. The longer you do this, the more you realise its truth. If the colour of a suit is a little off, or the make is too dramatic for its intended formality, it will never be quite right. It’s much easier to make peace with the fact that checks don’t match across pocket jettings. 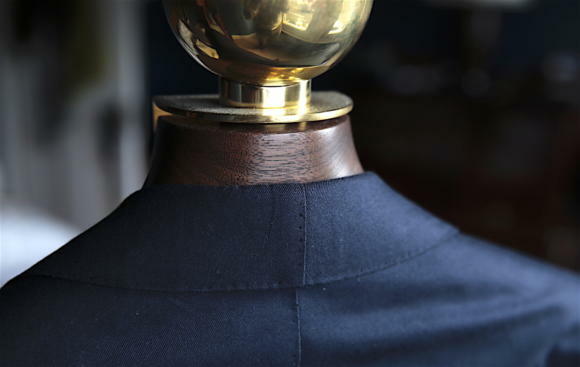 Navy is a great colour for a cotton suit, and I love the shape of Musella Dembech double-breasted lapels. I think I made the right choices on pockets, turn-ups and buttons. I have no concerns at all about its style. And more than that, I think it slots perfectly into my core aim of clothing: to be subtly and quietly well-dressed; to whisper and not shout. Second, I have full confidence in the way the suit has been made: partly from what I can see and analyse myself, and partly because I have faith in the thought and work Gianfrancesco has put into it. Gianfrancesco not only has knowledge and influence from the Caraceni tailoring tradition through his father (below, centre), but is constantly researching and educating himself. He is a dedicated student, with strong views but a thirst for the views of others. When you mention something to Gianfrancesco, such as the difficulty I always have with pleats, you can see him carefully considering it - running it through all his references, knowledge and experience, and assessing. So for example, I don’t mind that my cotton suit has a seam in the middle of the collar, at the back. Gianfrancesco says this helps shape the cotton (which cannot be as easily ironed or stretched as wool) around the neck. My other Italian cotton suit, from Elia Caliendo, doesn’t have this seam and I haven’t noticed a difference in functionality. But I’m happy with it - because Gianfranesco knows more than I do and because he has spent an awful lot more time studying it. We need to recognise when we lack real functional, technical understanding. And that (whisper it) sometimes there just aren’t any right answers. The third point is the most emotional. When I wear my suit it makes me think of Gianfrancesco and his family - and smile. 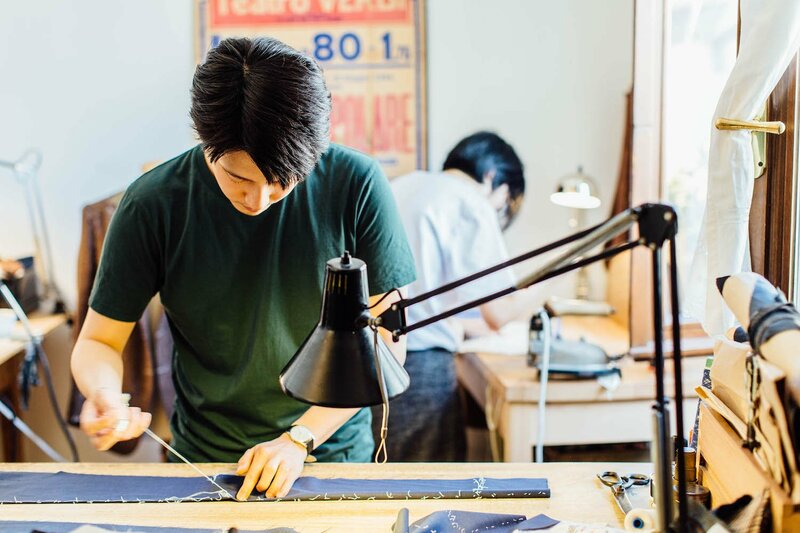 As I said earlier, a fundamental part of the appeal of bespoke is establishing a personal connection with a craftsman. Historically they would have become having an advisor and confidant who helped shape your wardrobe. That happens less these days, but the relationship is still a far deeper and more intimate one than any other type of retail. When I think of having this suit made, I think of walking through the family’s sitting room to get to the workroom. 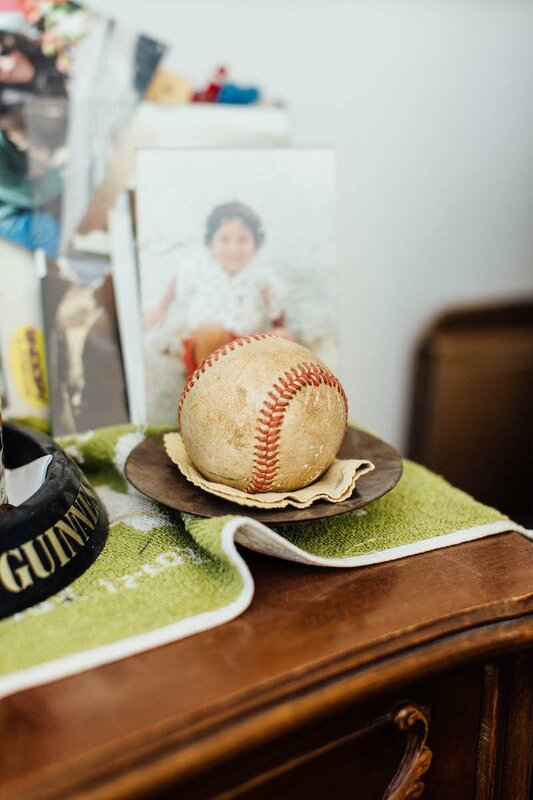 I think of the old baseball sitting on a side-table, in front of a stack of family photos. 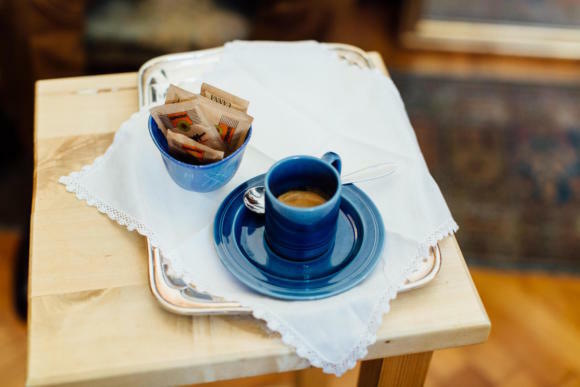 Of the coffee on a silver tray, with lace doily and blue cup-and-saucer. 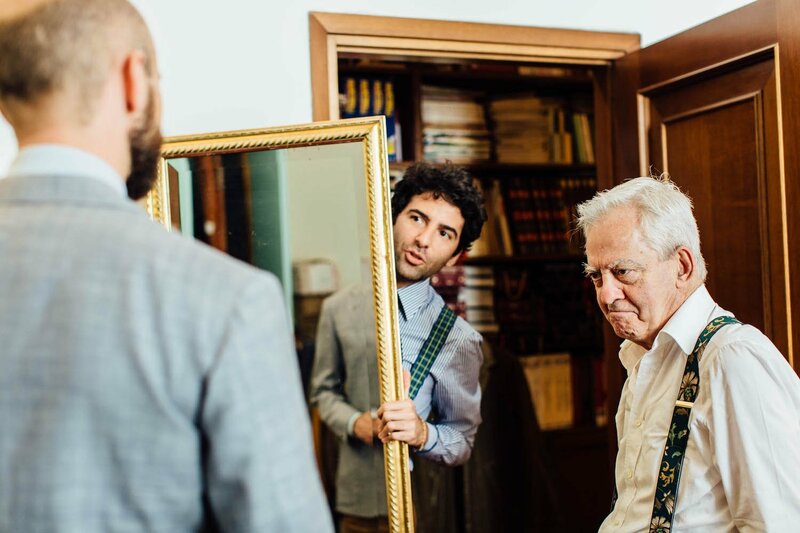 And of that damned mirror, which still hasn’t been hung and Gianfrancesco therefore has to hold up for this customer every time. He really should fix it to the wall - for the sake of his back if nothing else. But I would be a little sad if he did. You can follow the discussion on Best Artisan of 2018: Musella Dembech (Or, rating a suit purely on emotion) by entering your email address in the box below. You will then receive an email every time a new comment is added. These will also contain a link to a page where you can stop the alerts, and remove all of your related data from the site. Lovely piece of writing! One of my favorit yet. I couldn’t agree more. We would certainly agree that fit and how it looks is the most important thing . This can easily be achieved by MTM. What I’m trying to say is that a (machine or handmade) MTM-Suit that fits perfectly I have no problem of giving away to a new user after a few years. I would never do that with bespoke. It would break my heart thinking of the tailor investing all those hours making this exact suit specially for me. Definitely well deserved. All the previous winners as well, but Gianfresco and Ethan in particular. I have always loved the lapel shape and the style of the DB jackets they’ve produced, it always looks great and flatters the body of the wearer no matter the size. I hope I’ll be able to commission one from Gianfresco one day, but unfortunately for now, Oceania is a tad further away from where all the bespoke tailors would go! Fit, make and style is what I like about bespoke. But as you mention, a special relationship with the artisan is almost the gratist Advantage of bespoke tailoring. At leat that is what I apreciate so much. Writing this blog you have tried so many tailors over the years. I wonder if it is possible to build up such a relationship. After all Musella is a good choice to the Award. I think I do have a close relationship with some, such as Elia Caliendo, Whitcomb & Shaftesbury or Luca Avitabile, but you’re right that it’s not the same as if I only used one or two. I often consider flirtations with others but every time this comes up my wife, and my sons say A&S have got you down to an absolute ‘T’. Your wardrobe is the envy of everywhere you go. Why would you mess with that ? They have a point. At the end of the day, the way a house style works for you is everything and bouncing from one tailor to another will never be a substitute for the gradual evolution you can make together. Providing, of course, you find the right one in the first place. Ps. Anybody seen “Phantom Thread’ . Day Lewis’ clothes are off the richter scale. Simon, do you know who did his wardrobe? The drape looks very familiar to me. Gianfrancesco Musella is really great. Well deserved. Of all the stuff I’ve had made over the years, most has just felt “fine” when I put it on, because there is nothing to overly like or dislike about it, and some has made me a bit grumpy (much easier to find a reason for that). But, rarely, You get a garment that somehow manages to make you feel really good wearing it, and you simply can’t put your finger on what precisely it is about it. That, for me, is what makes bespoke such a wonderful thing. I think you’ve really touched on a subject here ….. appreciating and being appreciated. Many a customer service experience is as fake as a second hand car dealer’s smile where the customer’s concerns are belittled and the end goal is merely a sale . I recognise what you describe as being happy to give your hard earned cash to someone doing it for the craft first and the money second. When you’re comfortable relaying any concerns and you feel involved in the process. Interesting article, thank you. The writing seems a little more emotional and stylized than we are used to from you (e.g. the ending). But then this is about a personal choice. Navy cotton for a summer suit will fade quite a bit, don’t you think so? Who were the other contestants for 2017? Perhaps an idea to add a short list at the bottom of the article, as future readers certainly won’t recall who you visited last year. Yes, it will fade, which is part of the appeal for me. Clip on braces on both these guys. Am I missing something? Wonderful. Musella style is something special and unique. Bravo! This is what its all about Simon. Undoubtedly, this is a great choice! Hope you are well, very interesting and informative piece. 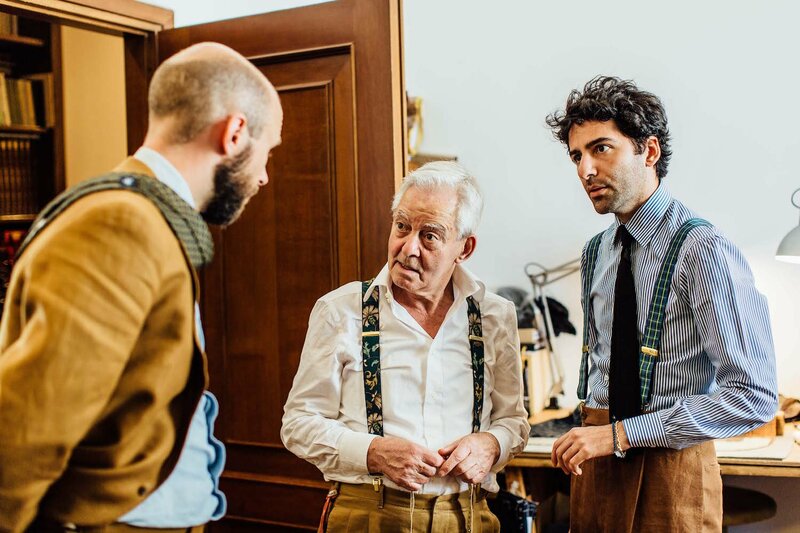 In your opinion are there any English or Italian tailors whose finishing is close or on a par with the likes of Cifonelli or Camps de Luca? What about Steven Hitchcock and Anderson Sheppard in terms of handwork and finishing? I like this suit but you rarely mention how this makes you feel. Personally I think this is very important – indeed the most important aspect of selecting from a wardrobe. Some garments may not feel stylsh and thus affect confidence, or it might be cut too close and thus feel restrictive which, after a while, becomes frustrating. 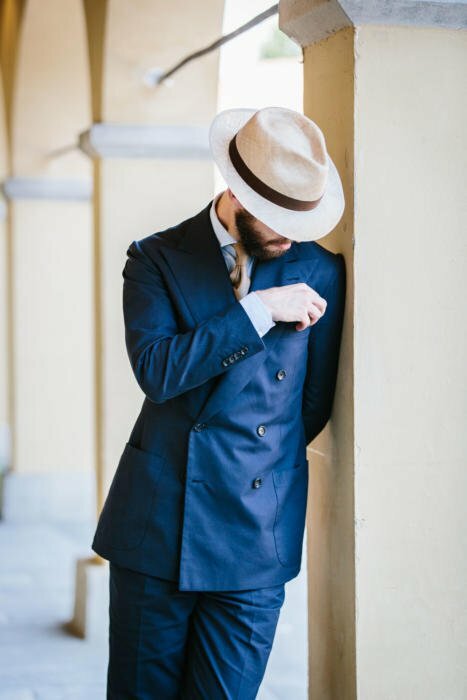 A great suit or jacket can be put on and forgotten – it does not need constant attention nor is there concern as to style or colour etc. Respectfully I would like to hear more about this nebulous aspect from you, aspects of analysis are welcome but so are the emotional responses (perhaps even more so). Simon, out of interest does the jacket match to any of the lighter coloured trousers that you have that might make a second outfit? The suit raises another question (due to your liking of it). If you were not commissioning from many tailors and you wished to have a number of suits commissioned off the same personal pattern (but in different cloths) to make up the core of your wardrobe (business or leisure) which suit would you select to serve this purpose and why? No, the Milanese style and DB is too sharp for a sports jacket I find. But on that very point, Simon, I find it really difficult to settle on a structured vs soft cut. 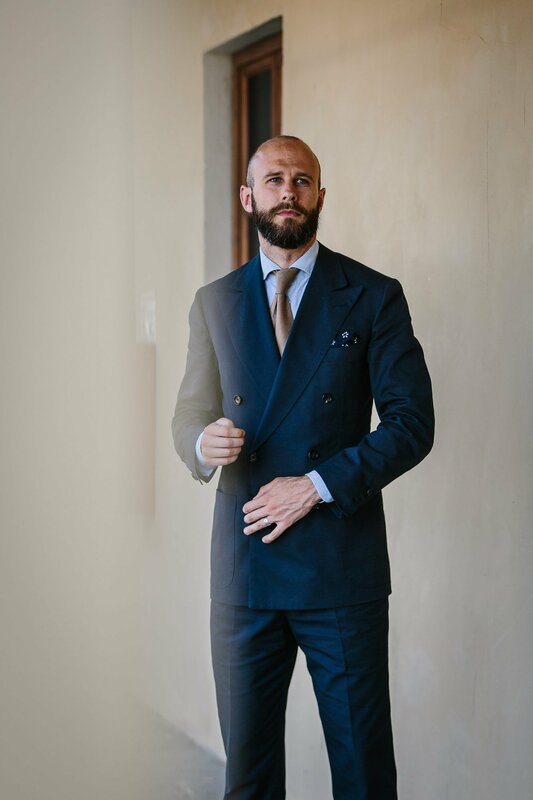 Some of the Neapolitan tailoring looks fantastic but my dropped left shoulder and hollow chest, together with a hollow back and large thighs make for a difficult choice. Would you suggest a solution? As a general principle do you think it is OK to use a suit jacket seperately as a sports coat? Are certain styles or materials more suited to this purpose? No, in general suit jackets do not work. A sports jacket needs texture or pattern to separate it from the trousers, and a suit jacket will normally be too fine and smooth to work. Fluffier wools, cashmere, anything with more pattern like a herringbone or a check, will be better. There’s lots on this around the site if you search for sports jackets. 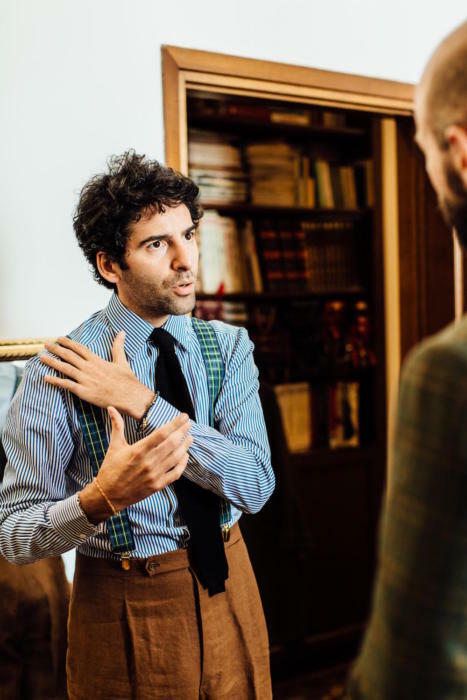 Musella Dembech is surely one of the best young Italian tailors. Beautiful clean cut. We wish him the best.